Maria's Space: Vudu Makes Family Night Easy. Vudu Makes Family Night Easy. Mac/PC, Xbox One, Xbox 360 with LIVE Gold Membership, PlayStation 4, PlayStation 3, Roku, Chromecast, VUDU-enabled TV or even Blu-ray player. 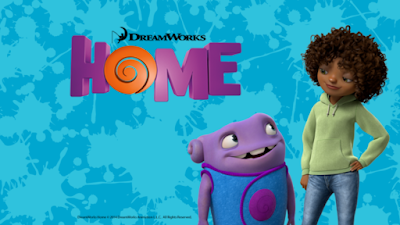 HOME available now for download or streaming. This looks like such a cute movie for the kids love to see it with them. It's a nice option, how much are rentals typically, cheaper than amazon?